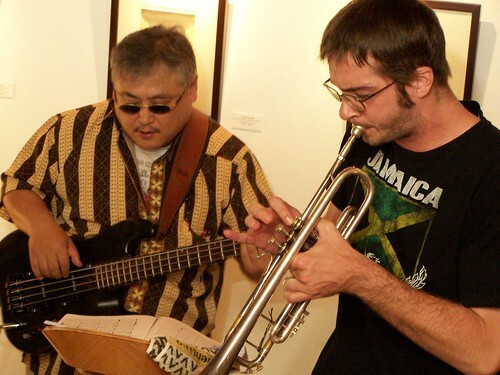 For one night only, the former Jazzaholix will reunite with former bass player Adachi Masahiko (Japan) and blow a refreshing breath of cool air back into the Jazz scene of Taichung. This group translates the ever-changing language of the city night, and presents it to the listener with love and humility. We hope you enjoy what you hear, and carry the tunes with you for the next few days in your dreams and your hearts. Wesley James - Trumpet, Vocals.